Children are often hard to please when it comes to finding them a set of comfortable furniture that they can call their own. I wanted to buy a piece of furniture that my daughter could not only be proud of, but something that would also make her comfortable and allow her to have instant (and convenient) access at all times. My first thought was to buy a large cushion that she could sit on while watching television o playing. This, however, wasn’t really a possibility as a cushion would simply wear out after a few weeks of use. After spending quite some time trying to find something that I could use in order to provide my little girl with that she could call her own, I came across the Leachco Pillay Plush Sling-Style Lounger. 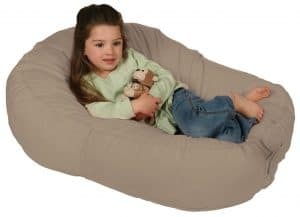 The Leachco Pillay Plush Sling-Style Lounger is a bean bag that has been specifically made for children of different ages. The bean bag chair was developed by Leachco; A family owned business that started out selling special straps made to keep babies and smaller children attached to their chairs when a couple takes to, let’s say, a restaurant. After reading about this lounger, I immediately ordered one to give it a test drive. Until this very day, my daughter considers her Leachco Pillay Plush Sling-Style Lounger to be one of her very best possessions. The product is created by a family business. The entire family is involved in the company and all of their products are designed by one of the main members – who is not only the wife and mother of the other members, but also an experienced nurse. This means that she puts both of her skill sets – as mother and nurse – into action when designing a new bean bag chair for their business. This bean bag “lounger” has many uses. My daughter can sit on it while we are watching television, while she is reading a book. Sometimes, she even takes a nap on it. I am often told that the lounger is even more comfortable than her own bed. 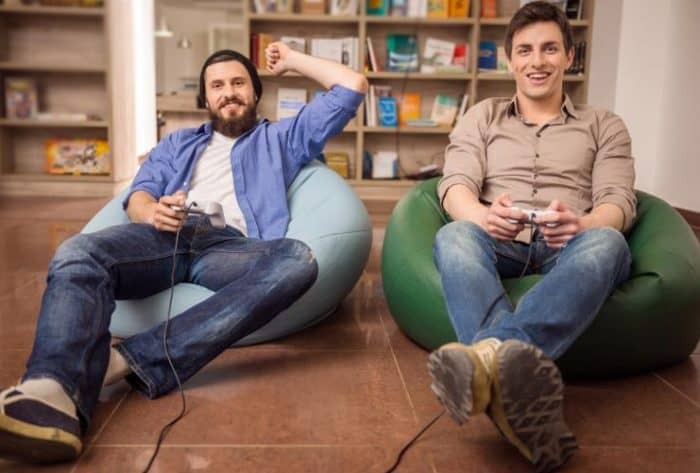 The Pillay Plush beanbag chair offers certain features that are unique to its design and original to the manufacturer, Leachco. This specific bean bag lounger has adjustable tabs that offer versatile support, as well as a central stretch panel. While this may seem like two complicated features, it is also the features that will save you a lot of money. 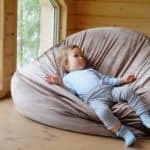 These features simply mean that the bean bag chair can be adjusted according to your child’s weight and height, which means it can be used for many years even as your child starts to grow up. Since I didn’t buy this bean bag for myself, I think it’s important to rather explain the first impressions from my daughter’s point-of-view, rather than my own. Personally, I initially couldn’t see how the lounger could be all that comfortable. It is, after all, a piece of fabric filled with beads. Since the very first moment my daughter had this lounger, she fell in love with it. After making a quick adjustment according to her weight and length, it was almost like she got stuck on the lounger. In fact, she loved the lounger so much; she completely stopped using the lounge suite we had in front of the television. She started to take the bean bag lounger with her wherever she went. The Leachco Pillay Plush Sling-Style Lounger has much more positive points to it than negative points. Yet, I think it is important to explore both pointers to be more realistic. Let’s start with some of my favorite positive points. The lounger is perfectly contoured and extremely cozy. It is perfectly sized for smaller children and can even be adjusted. The lounger comes with a removable cover that can be washed, making it very easy to keep it clean. 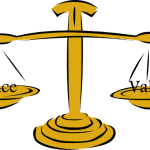 The product is made in the United States. 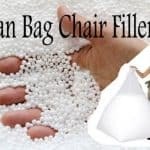 And the company that manufactures the bean bag lounger only sources materials from the highest-grade suppliers in the country. As with any product, the Leachco Pillay Plush Sling-Style Lounger also has some drawbacks. Let’s explore the facts that I considered a drawback. The lounger is very dull, considering it was made especially for children. Pattern designs with cartoon, animals or other objects for children would’ve been a plus. At just over $100, some parents may consider the lounger to be a bit expensive. Still, it is an investment you make for your child, so this isn’t that big of a concern. The answer is yes, and I would definitely recommend this bean bag lounger to anyone with a small child. It is not only comfortable, but also very convenient. The pros of this product completely outweigh any drawbacks that it has. Plus it is developed by a loving mother that know what children really needs. As a parent, your child is means everything to you and you would do anything to keep them happy. The Leachco Pillay Plush gave me the opportunity to put not only a smile on my daughter’s face, but also an opportunity to give her something that she truly enjoys. The lounger is comfortable and even makes a great bed for when she is simply too tired to finish a movie with us.